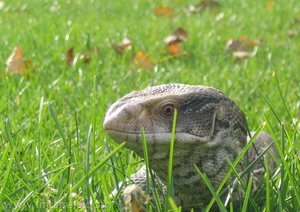 Die Familie Warane gehört zur Infraordnung Waranartige, Platynota. 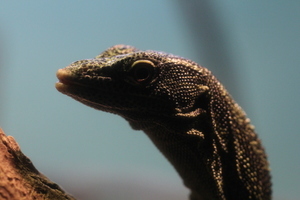 "IMG_0920" by Mark Scott Johnson via Flickr, Creative Commons Attribution. 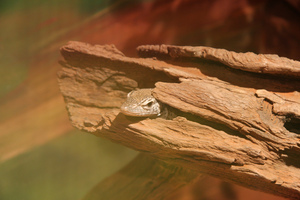 "Outside" by Clocker via Flickr, Creative Commons Attribution-NoDerivs. 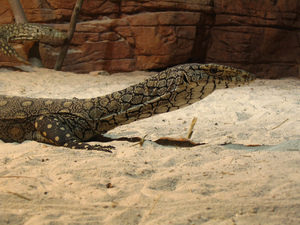 "Perentie at Sydney Wildlife World head closeup" by Derrick Coetzee via Flickr, Creative Commons Attribution. 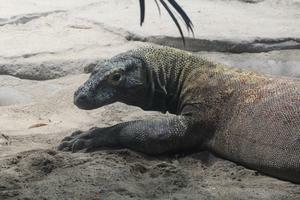 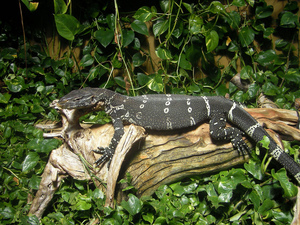 "Varanus niloticus" by Danny S. 1993 via Flickr, Creative Commons Attribution. 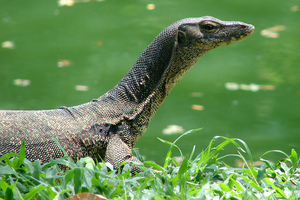 "A Curious Water Monitor" by Nhussein via Flickr, Creative Commons Attribution ShareAlike. 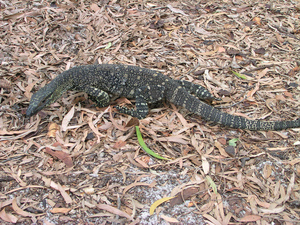 "Goanna/ Lace Monitor/ Lace Goanna - Whitsunday Islands" by Brewbooks via Flickr, Creative Commons Attribution ShareAlike.